How bad did it get in some segments of the population during the Great Depression? Actually, during the Great Depression, women began reusing the fabric from flour sacks to make dresses. 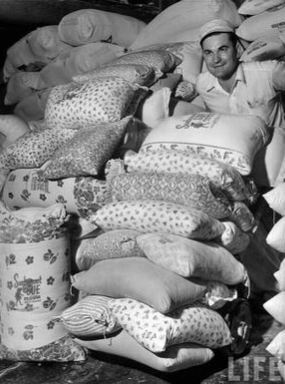 When the flour companies woke up and suddenly realized the purpose their flour bags were providing, they began to print their bags with various floral and other designs to make them more attractive to consumers who would buy flour to be able to use the cloth for clothing. Interesting way to increase your sales. « Doom & Gloom v Optimism – Is there a Middle Ground?